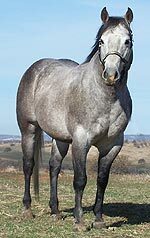 Tapgun is a 2004 Grey Stallion by Playgun (LTE $185k+) out of Tap O Lena (LTE $502k+). Tapgun arrived at the Brooks Ranch in 2005 with a special Thanks to Phil and Mary Ann Rapp for selling us this wonderful addition to the ranch. He has a great pedigree with all the numbers and has been siring great foals that have been very athletic with kind, trainable dispositions. 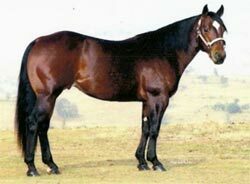 Plums Sensation is a son of Plumb Dry, 1984 CRCHA Snaffle Bit Futurity World Champion. "Sensation" was born and raised here on the Brooks Ranch. His foal crops, like their sire, are turning heads in the barn! 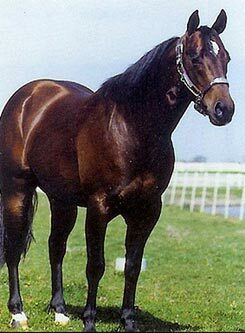 San Man Badger was sired by the great cutting horse sire Peppy San Badger, the #3 Lifetime Cutting Horse Stallion with get earnings in excess of $28 Million. His foals have muscular bodies and great, easy-to-work-with dispositions. All of his offspring have been responsive to training. Plumb Dry was the 1984 CRCHA World Champion Cow Horse at the Snaffle Bit Futurity in Reno, Nevada. Plumb Dry went against 250 horses to come out on top and earn this honorable title. 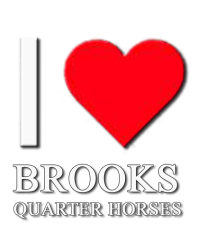 From there, he was retired to the Brooks Quarter Horse Ranch to begin his breeding career. Plumb Dry had been purchased because of his impressive pedigree, and with him, Leonard Brooks began building his reputation as a successful Quarter Horse breeder. 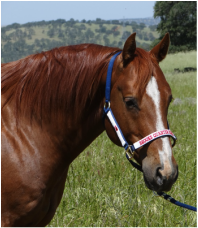 Purchased as a two-year-old, Plumb Dry resided at the Brooks Ranch for over 21 years. He was crossed with Three Bars broodmares. During his time on the ranch he sired over 500 foals. 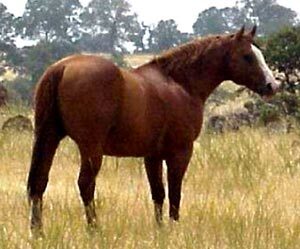 Smart With Cash was a son of the amazing Smart Little Lena, ranked #1 BEST All-Around Sire (Cutting/Reining/Cow Horse) by Quarter Horse News (6/1/2008). Smart With Cash's dam was the full sister to Miss N Cash (LTE $124k+, $4+ Million Dollar Sire). His maternal grandsire was the famed Dash For Cash. The breeding on this stallion was exceptional and his foals were a pleasure to train.